Queensland tourist Mark Iseppi with the fish that won him $10,000. THE sixth prize fish of Season 4 of the Million Dollar Fish competition was landed at the Daly River Mango Farm by Queensland tourist Mark Iseppi on Australia Day, netting him a cool $10,000 in the process. With Territory anglers claiming all the prizes to date, Queensland tourist Mark Iseppi on Australia Day is the first tourist to pull in a winner. Mark landed the biggest catch so far with a whopping 86 cm red-tagged barra at the Daly River Mango Farm, where he’s been fishing for four weeks while on an extended fishing holiday with his family. “We came to the NT because we love fishing during the wet. When we saw the Million Dollar Fish tag we were pretty excited,” Mark said. Tourism NT Deputy Chief Executive Officer Andrew Hopper congratulated Mark on being the first tourist to reel in a prize-tagged fish, the sixth of the record 125 fish available this season. “It’s wonderful to welcome a tourist onto the list of winners in the Million Dollar Fish competition. Obviously Territorians have many more opportunities to land a prize fish, so it’s terrific when a visitor to the NT has such good luck. “I encourage all anglers to come to the Territory, try their hand at catching the Million Dollar Fish and enjoy our unique tourism experiences while they’re here. “Whether it’s catching a barra or taking a fishing charter, the NT is teeming with some of the best eating fish in Australia, including the iconic barramundi. “With two months remaining of Season 4, five chances at the $1 million fish, 95 of the $10,000 fish and 19 purple-tagged $5,000 charity fish still out there, there’s never been a better time to get out and wet your lines,” Mr Hopper said. Mr Hopper said the Million Dollar Fish competition is a tourism initiative designed to lure more visitors to the Territory during the tropical summer and boost the Northern Territory’s reputation as the best place in the world to stay, play and fish. As at September 2018, an estimated 46,000 interstate fishers have come the Top End, an increase of 6,000 on previous years. Season 4 of the Million Dollar Fish competition was launched on 1 October 2018 and runs until the end of March 2019. 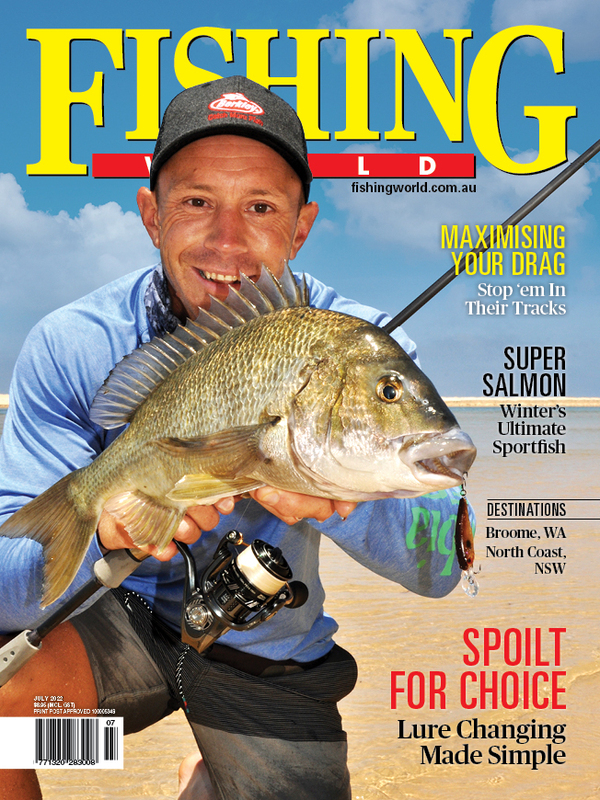 For a chance to win a prize barra, participants must be 18 years of age and register online at milliondollarfish.com.au.